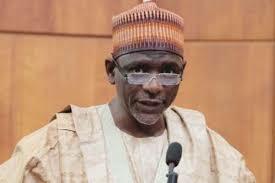 Minister of Education, Adamu Adamu, has urged teachers to ensure they were qualified, licensed and registered before 2019 or be flushed out of the classrooms. Adamu gave the warning while monitoring the 2018 Batch A Teacher Professional Qualifying Examination (PQE) in Abuja on Saturday. Adamu, represented by Mr Sonny Echono, the Permanent Secretary, stressed that if teachers were not qualified and properly equipped, the products who are the students would also fall short and ultimately the country will suffer. ‎“The person at the centre of it all is the teacher, not the pupils and if the teachers are not qualified and properly equipped then how can they give our children the best. ‎“So ‎as a government we are insisting that we must raise the standards; we must become like other countries of the world. “If by 2019 you are not a qualified, certified and registered teacher, you will be removed from our classrooms and we will give the job ‎ to those who are qualified. “It is an embarrassment to us that we have so many qualified people without job and we are given the job to people who are not qualified. It is insane‎. ‎”In the past, we did not have the right numbers, so we appreciate that those not qualified helped us to meet that shortfall, that is why we have given this time of grace,” he said. ‎He urged the teachers to continue to improv‎e themselves while their employers would do their part to continue to train an retrain them. The minister noted that some people were opposing the use of computer based test, which he said was not going to be scrapped. ‎Adamu said that the world was not going to wait for Nigeria, calling on everyone to be vanguards ‎of upgrading the standards in schools.